SlimPAR 56 IRC IP is an LED PAR can-style wash light housed in a casing molded after the popular SlimPAR 56. Powered by 108 red, green and blue LEDs, this IP66-rated fixture eliminates the worry of ruining your units if they get wet during an outdoor event or have a drink spilled on them. 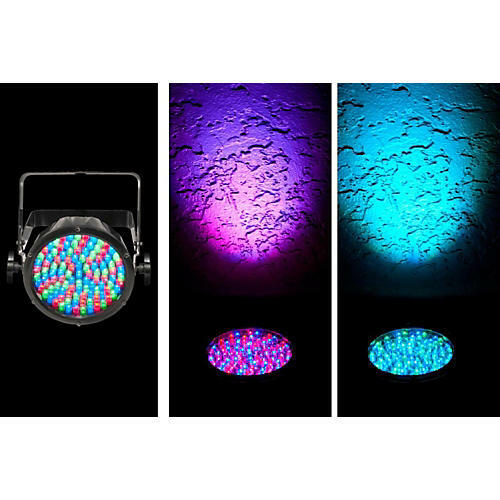 Customize light shows using 3- or 7-channels of DMX control. Or, for added convenience, optional wireless remote control is available from an IRC remote.